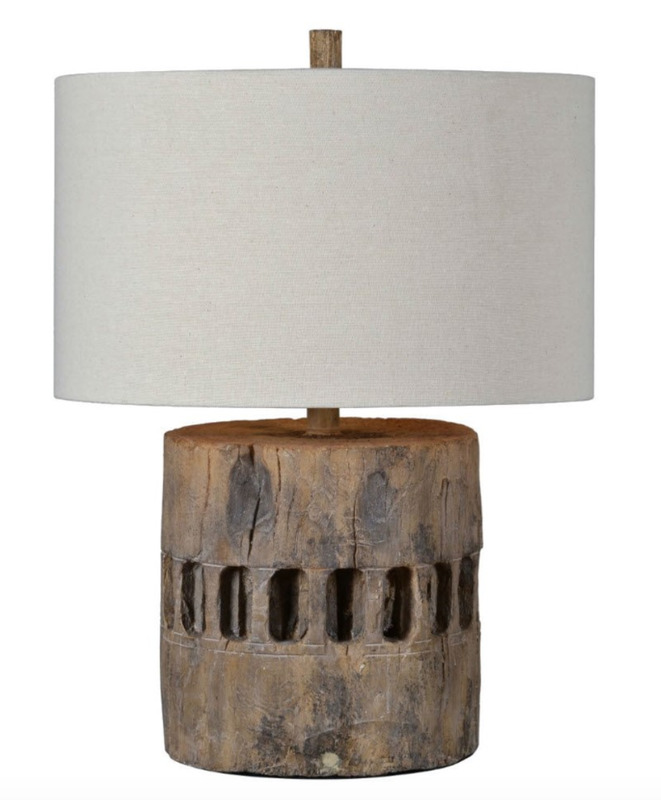 A bold dignified piece, the Decklin lamp is designed after an antique cog. 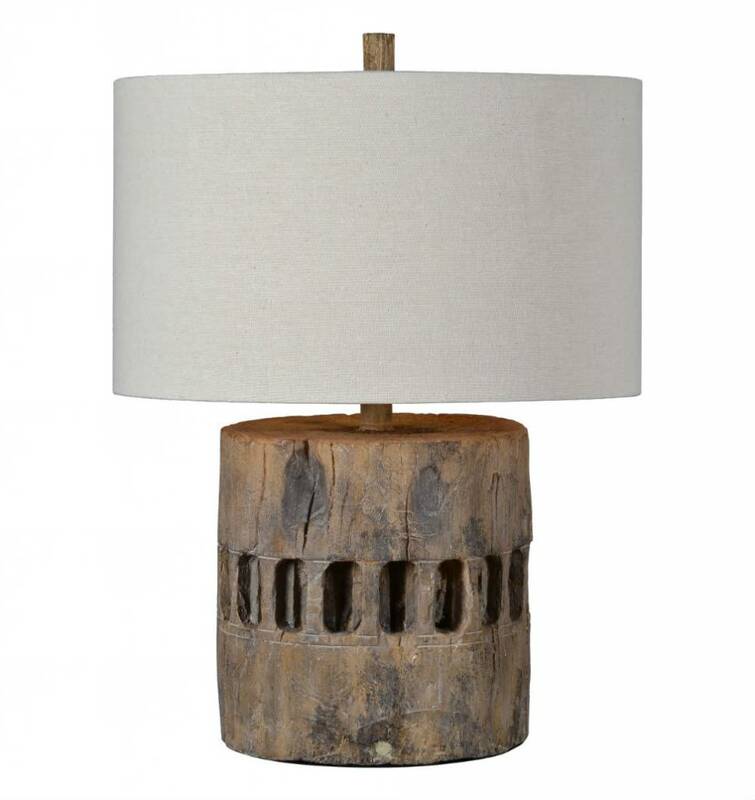 It features a well warn antique looking finish and is topped with an antique white linen drum shade. Glass/Shade: 16" x 16" x 9.5"